When we take a data- and profit-driven approach to marketing, we can get so caught up in maximizing returns that we forget we're dealing with people, treating our customers as simple transactions. If we're looking for loyalty, we need to change that approach. 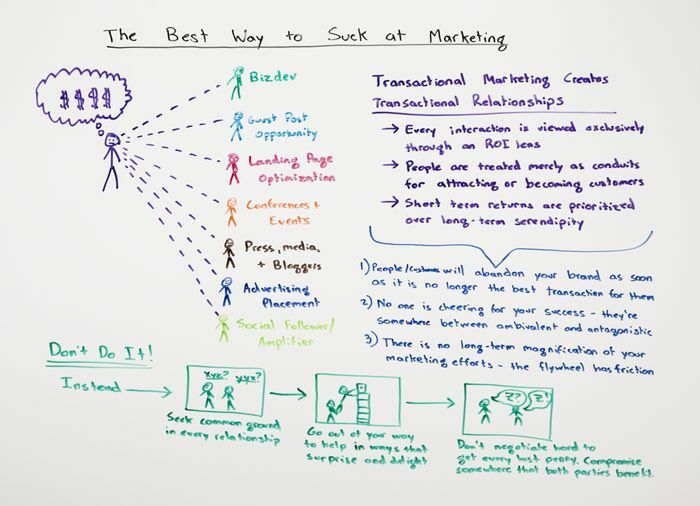 In today's Whiteboard Friday, Rand details the virtues of marketing for long-term success and moving away from that transactional model.